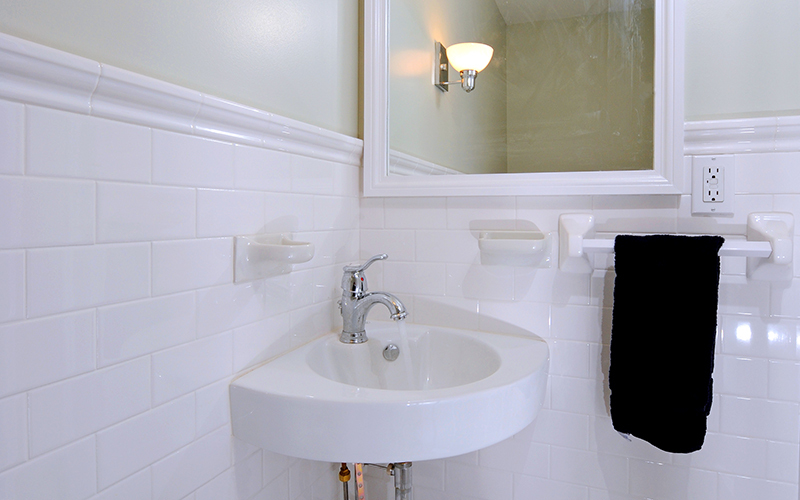 In this traditional Shaker Heights, Ohio home, as part of a full gut and remodel kitchen project, we renovated a powder room using ceramic subway tile, classic porcelain fixtures, and space-saving techniques that help the bath seem larger than it actually is. Challenges: Awkward, space-constrained half bath; bath located off kitchen; leaking plumbing stack. 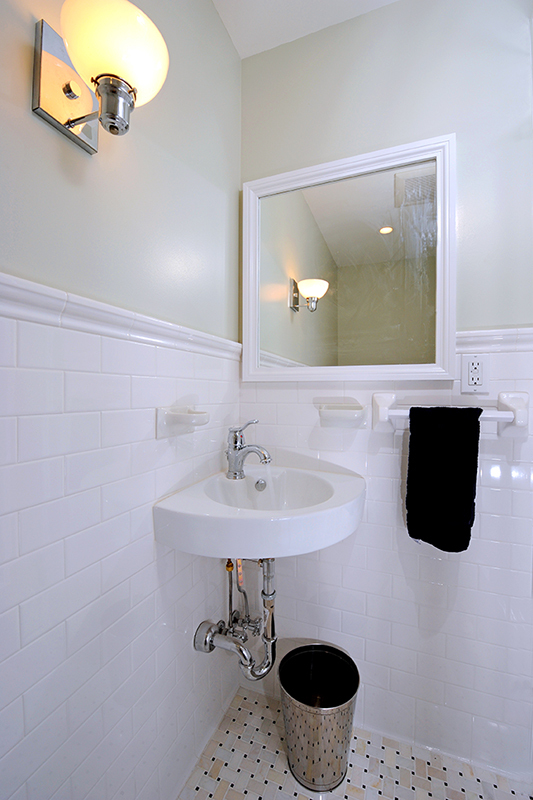 Features: Corner sink, molded tile chair rail, up lighting wall sconces and built-in mirror. Comments: The sink placement really opened up the space. Thanks!